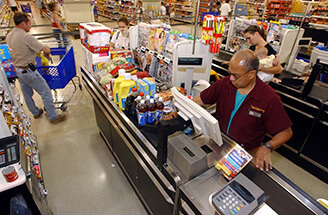 From high-volume supermarkets to the small grocery store where customers have to stand in a single lane or multiple lanes to buy fresh products and packages, the cash registers have become a thing of the past. 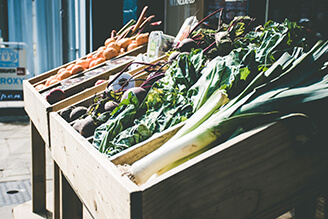 The easy-to-use grocery POS that increase the product availability, speed up the service, improve the customer experience and grow your margins is scoring high popularity, which you should stock up alongside the fresh stock to run the business in modern style. Be updated with the stocks available, low in quantity, will soon become waste or need to be replenished in the inventory as vegetables spoils quickly and cereals can be stored for a month. This real-time information with BvPOS software help you meet the sales goal, better manage the stocks and decrease the losses due to the wastage or customer may have gone empty-handed. Additionally, the resource productivity will get improved as they can spend more time in selling the grocery. During the peak hours, managing the long queues and guaranteeing the transactions at speed with no errors is difficult, which ultimately impact the customer experience. 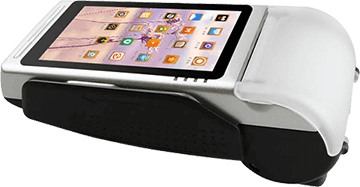 The flexible POS ensure fast-paced operations that enable checkout in a few seconds and let your customer spend more time in exploring more items. The high speed and accuracy improve customers’ satisfaction and empower sales. 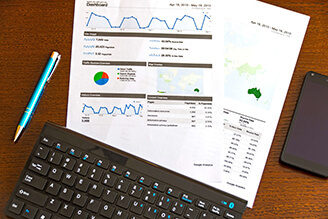 Analysis of the sales reports and customers buying patterns will illustrate about the customers’ preference and what's impacting the sales most. This insight helps in making the business projection with smart merchandising decisions. You will understand what stocks such as sweets, chocolates or cutlery you have to build up in the grocery store as any event or festivity is approaching. 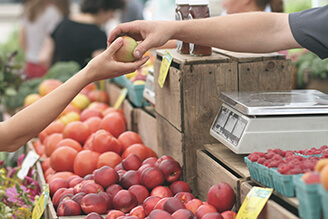 Rewarding the loyal customers or offering a discount to the new ones is a way to increase the traffic and bottom line of the grocery store. With huge insights, you can send in the contextual and customized messages or emails to the customers to make them come back to the store. Furthermore, the value-added services of wallet or reward points will help in catching more eyeballs or uplifting the loyalty.